We create exciting, successful digital experiences that work for your customers and your business. Nobody is perfect but we are honest and our work follows what is right and true to the brands of our clients. Clean, optimized and functionally beautiful. We build websites with your audiencein mind. Maximizing visibility with your online reach is essential to driving ROI. Social Media channels are often the first point of contact for your consumers. Native marketing is the what separatesyour content from the clutter on the web. Our approach to Digital Marketing involves sharing relevant information and crafting useful, entertaining content that draws visitors to your site and social media profiles, building loyalty and satisfaction. We carry out detailed analysis of your existing website using Google Analytics, as well as taking an in-depth look at the metrics that relate to key objectives you identify. This will give a complete understanding of your current digital performance and highlight opportunities to improve conversion. Our report will include recommendations for enhancing the customer journey, improving retention rate and minimising drop-off prior to conversion. In-platform analytics allow us to review your existing Social Media accounts, analysing what activity is resulting in maximum engagement, and which posts are not delivering the results required. We look to breakdown the content and images shared, as well as the timing of posts, in order to highlight themes that are encouraging likes and shares, in order to optimise future activity. As part of our SEO focused copywriting we carry out research into keywords and phrases that are relevant to your industry, product and services for use in copy, blog posts and Social Media activity. Identifying the platforms where the majority of your target audience are likely to be, as well as the format that most suits your company and products, will result in a more effective Social Media plan. We can undertake full management of any existing social media platforms, and the creation of any new accounts we identify as being beneficial. We design schedules and produce content to encourage engagement and loyalty with existing and prospective clients. 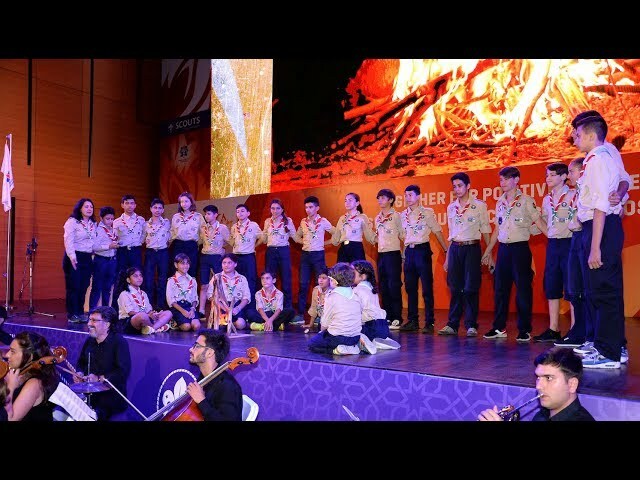 We are proud of being a part of Host Committee for World Scout Conference 2017 in Baku Azerbaijan. Having the �enormous amount of work, we have successfully delivered the full scope of PR & Communications services for the World Scout Conference 2017, including �branding, website development, �digital, production, PR, Social Media, local and international media coverage.